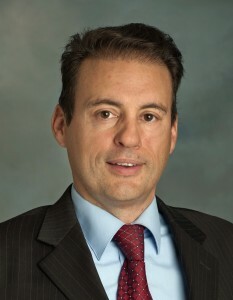 As a college student, Franck Vigneron, now a marketing professor at California State University, Northridge, was intrigued by the influence branding activities had in creating and maintaining the appeal for luxury goods — whether it was the sleek designs of Louis Vuitton or the sporty features of a Lamborghini. At the time, many researchers painted consumer marketing with a broad brush, asserting that the same tactics used to sell dishwashing soap and laundry detergent could be applied to sell haute couture and fine wines. Vigneron was not so sure, and he entered what was then a new field of study — the marketing of luxury goods. His latest work, a book co-authored with other specialists in the field at Paris universities, was published in French in 2014. 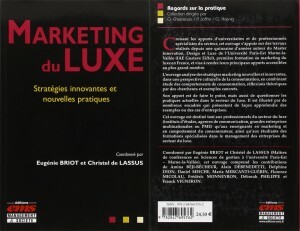 “Marketing du Luxe (Luxury Marketing)” has just been named the 2015 Best Business Book of the Year in France by the Paris Chamber of Commerce. “This is quite an honor,” said Vigneron, a French native who has been a member of CSUN’s marketing faculty since 2000. This accolade has been given annually in France since 1962 to recognize business books that represent the greatest contribution in advancing the business body of knowledge. The Paris Chamber of Commerce was established by Napoléon Bonaparte in 1803. The best business book selection also was made by the Académie Française de Sciences Commerciales, which was established in 1957. When Vigneron first expressed an interest in studying luxury marketing in the early 1990s, the only people who seemed to be interested in the subject were the French writing in their native language, which he said made sense given that so many luxury items were made in France. Vigneron saw an opportunity to explore a new aspect of marketing and decided that he would publish his work in English. That decision was a revelation, he said, and it helped shape his research. Today, he is regarded as a pioneer in the field. His research on the motivations of luxury brand consumers has gained international attention. In 2007, Vigneron was honored with the Academy of Marketing Science Review’s Best Paper of the Decade award. He pointed out that true luxury items are like fine art — unique, individualized pieces created by craftsmen who take pride in their work and wish to convey a certain image. He noted that many of the most elite brands are still family-owned and highly controlled, as family members work to preserve the integrity and reputation of the line. Then there are some luxury brands that become so successful that they are eventually bought by large corporations, hoping to expand the product’s availability while capitalizing on the brand’s reputation. “It’s how the new company handles the brand that is so interesting,” Vigneron said. “Marketing of luxury goods is now a global industry, where France still plays an important role in manufacturing and where the USA is about 45 percent of the world consumption. This means the question is, “How do you do it?” Vigneron said. He is working on a newer version of his work, in English this time, to broaden the opportunity to reach people.